We’re going back to basics today with one of my most essential everyday recipes, vinaigrette! You know how much I love salads, and I’m surprised I didn’t think to share my basic vinaigrette recipe with you until now. Homemade salad dressing tastes infinitely better than store-bought dressings. It’s fresh, bold and preservative-free, and you’ll only need a few ingredients to make it. Vinegar and olive oil-based vinaigrette offers a light, zippy, heart-healthy salad dressing that’s great on greens, vegetables and fruits. You can change up the flavor by using different vinegars. Vinaigrette is easy to adjust to taste, and I’ve included notes how to do so in the recipe. Homemade vinaigrette keeps for 1 to 2 weeks in the refrigerator, so it’s worth the 5 minutes it takes to mix it up. Then you can keep it on hand for all of your salad needs. 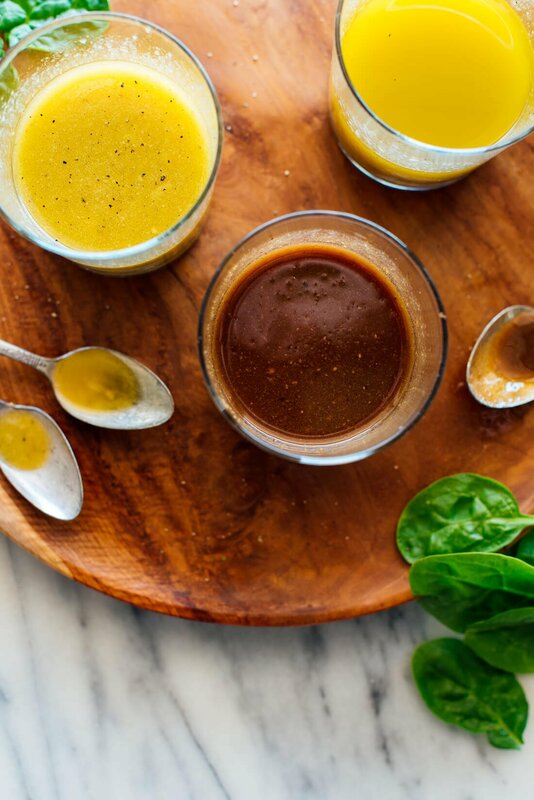 The traditional French vinaigrette formula calls for 1 tablespoon vinegar for every 4 tablespoons olive oil. I like my vinaigrette a little more zippy than that, so I typically use about 1 tablespoon vinegar for every 3 tablespoons olive oil. Kale salads can tolerate more zingy dressings, while you’ll want to use less vinegar for mild greens like spring greens. In addition to olive oil and vinegar, you’ll also need Dijon mustard for some flavor complexity and creaminess, maple syrup or honey for a little sweetness that balances the vinegar, garlic for oomph, and salt and pepper. Let’s get to it! 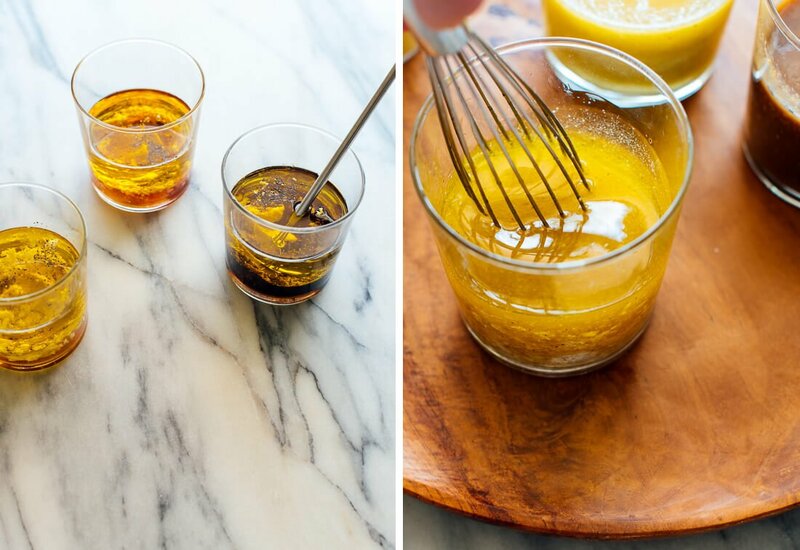 The post How to Make Vinaigrette (Plus Variations!) appeared first on Cookie and Kate.